I’ve been waiting anxiously for this amazing deck to come out since I heard that US Games was going to publish it! I followed Jody’s artwork of the Magical Times that started trickling down on FaceBook, one card at a time…but Oh, what a gorgeous set of cards! It seemed to take FOREVER before I got the word that I was going to be able to review it and wow…As I sat opening this deck, my eyeballs just about popped out of my head…this deck was beyond what I had hoped for! 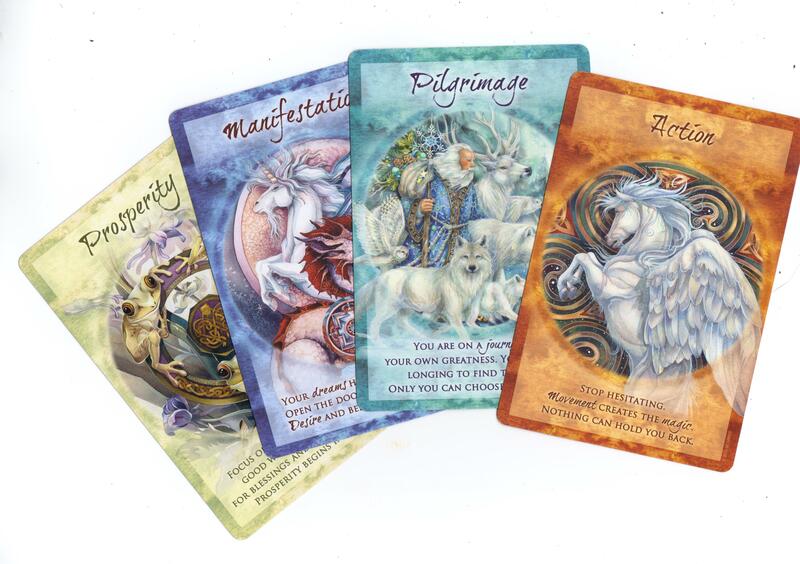 Magical Times Empowerment Cards will absolutely knock your socks off with Jody Bergsma’s exquisite imagery, powerful positive affirmations and a sturdy yet stunning hard flip top box. Some of you may recognize Jody’s other deck, The Spirit of the Wheel Meditation deck, which in itself is a fantastic set of cards. Jody began her journey with art at an early age and with her mother’s encouragement, was invited to her first art show at fifteen and has dozens of awards which incorporate her unique style of imagery containing fantasy, wildlife,and geometric designs that can be seen in several of the Magical Times cards. Jody’s use of affirmations… affirmations are sayings that can be used to manifest your needs and bring positive and permanent change to your life…in each card gently allow the reader to align their energy and can be read in two ways…1.) Direct cards, straight forward meanings that provide an insight or call to action and 2.) Reversed cards that can indicate a potential blockage or imbalance in your energy that needs some attention. 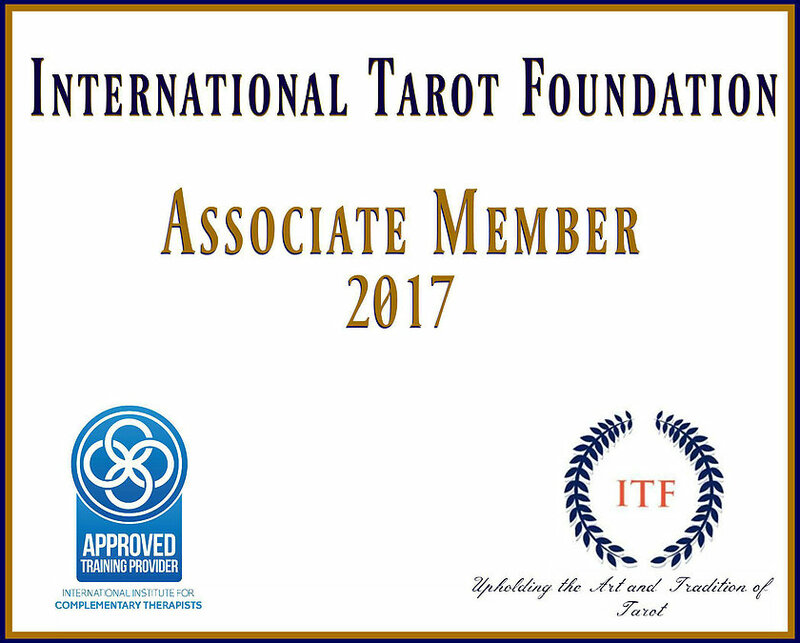 This card deck contains 44 graceful, and interactive portraits, that cause the reader to pause and reflect on their journey by asking “What does this mean…?” “What information is this particular card trying to impart to me…?” Both wonderful questions that once asked and reflected upon, can be written down in a journal to keep observations and insights in. The affirmations are written in a flowing script style, giving it a unique feel, with some words highlighted in bold. There is a awesome LWB (Little White Book) that is not really little but contains affirmations a bit more in length than what is simply written on each card so the reader can fully grasp it’s meaning and possible message. This has got to be the most awesome deck this year, I love the muted shades of soft summer colors, hints of green, lavender and earthy gold hues. It all adds up to make this an amazing, most definitely a must have deck, as with all US Games decks! The cardstock is perfection and I love the larger than average size along with the reversible backs with their bright and cheery circles. All in all, this is an absolutely wonderful deck that I heartily encourage everyone to go look at! It’s a “Must Have” for any person, go look, you’ll see!